The wood used on this floor is lovely, especially with the gray. 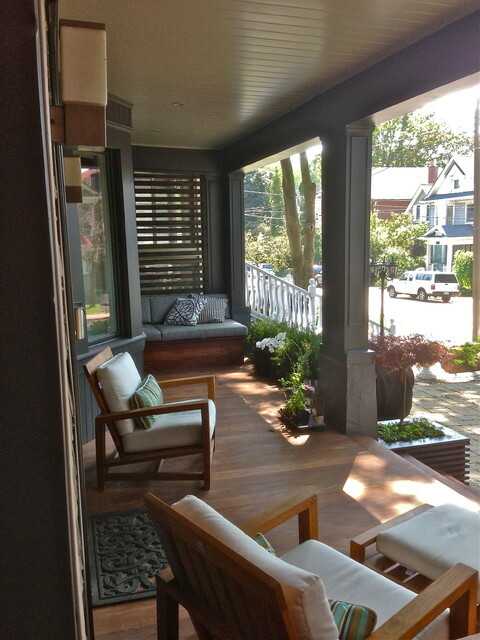 Consider something similar for our front porch remodel. Too country for me but I think we may want to explore the idea of a privacy screen like they have here.